By using race to determine home loan eligibility, the FHA deliberately segregated the Detroit area over the course of the mid-20th century. The racist policies are memorialized by a wall originally built along 8 Mile Road to separate black and white neighborhoods. 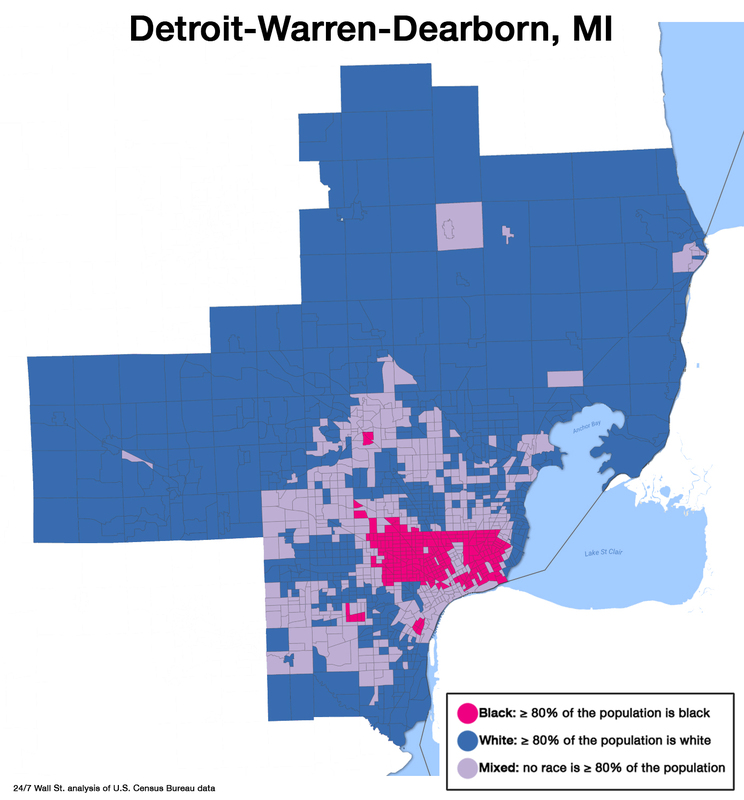 While the wall no longer separates black and white residents, still today few areas are more divided along racial lines than the Detroit metro area. More than 60% of residents live in neighborhoods dominated by their respective racial groups, double the average percentage nationwide. Of African American area residents, 57.7% live in predominantly black neighborhoods, the highest such share of any metro considered. As is the case in U.S. metro areas virtually without exception, black Detroit area residents are considerably more likely to live in poverty than their white peers. The black poverty rate, at 33.3%, is a great deal higher than the white poverty rate of 11.4%.